Here at HqK Gaming we try to give you the best resources and information that we have. You’ll find everything from Image files, Video Intro’s and Tutorials on how to be one of the best and most popular contributors in the gaming industry. 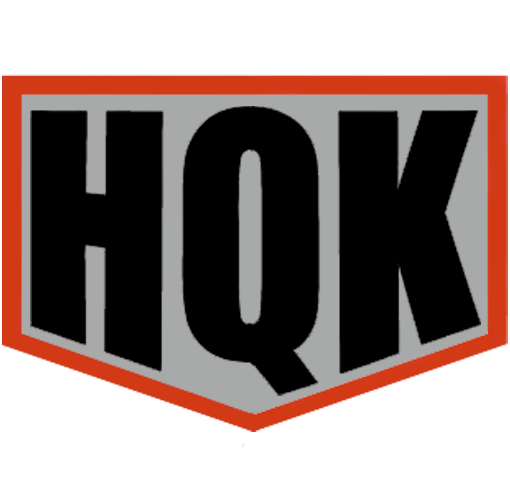 All HqK Resources are available for HqK Gaming Members Only. This is the full HqK Logo that is 500px by 1000px. It’s big enough to be imprinted on electronic devices such as websites, clothing apparel, and a wide range of uses. The HqK Shield can be used to incorporate into other photo’s, or just a mere placeholder. Call of Duty enthusiasts like to copy this shield onto their emblems for their guns. or has been implemented in the game Planetside 2 for Vehicle, and armor Decals. The HqK Video Intro is good for Walkthroughs and tutorials uploaded on youtube. You can incorporate this video with pretty much anything you create. If you would like to submit a resource for the community to use and be featured on HqK Gaming Website, and other areas. Please fill out the form below. Can I upload a Video? The maximum file size is 5MB, Also, if you have the PDF which includes the layers, please upload that as well. Right now you cannot upload a video through the website. please contact us if a video is something you would like to upload. HqK - High Quality Killers is a Tournament and Casual Gamer Based Clan. Created in 2002, We're one of the largest PS4 Clans today. Copyright © HqKGaming.Com 2014. All Rights Reserved. No part of this website may be reproduced without HqKGaming.Com's express consent. Backlinks are allowed.